India vs Australia, Sultan Azlan Shah Cup Live streaming: India face an uphill struggle as they face world champions Australia. 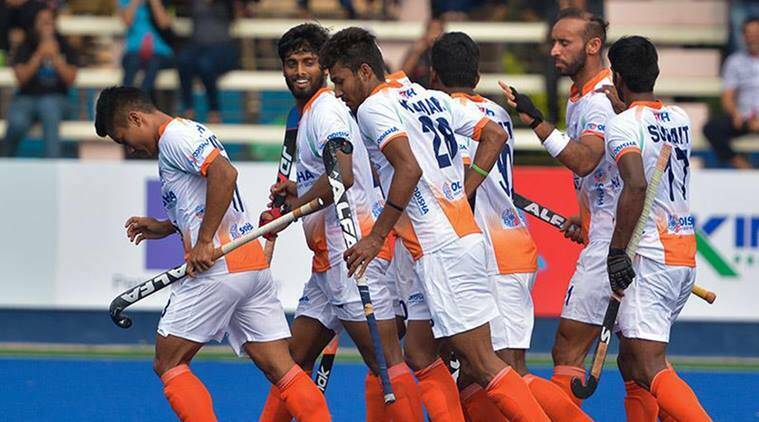 India take on world champions Australia in the Azlan Shah Cup hockey tournament on Tuesday. India are yet to taste victory in the tournament, having lost 3-2 to Olympic champions Argentina before drawing 1-1 with England. Australia, on the other hand, have defeated England 4-1 and followed that with a 3-1 win over hosts Malaysia. India have fielded a rather inexperienced team under the captaincy of Sardar Singh and coach Sjoerd Marijne will know that Australia are favourites in this particular fixture. At the same time, it remains to be seen whether India can use their status as underdogs to their advantage. Many of the players, including Sardar, are trying to prove their credentials ahead of the 2018 Commonwealth Games. When is India vs Australia in the Azlan Shah Cup? India will play Australia on Tuesday, March 6, 2018. What time is the will the match between India and Australia start? The scheduled time for the match to start is 6 PM IST. Where will Azlan Shah Cup match between India and Australia be played? The Azlan Shah Cup is being held in Ipoh, Malaysia. Which channel will air the Azlan Shah Cup match between India and Australia? India vs Australia will be aired on Star Sports 1 and Star Sports 1 HD. How do I live stream the Sultan Azlan Shah Cup match between India and Australia? The match can be streamed on Hotstar. For live commentary, updates, social reactions and more, you can follow the live blog that will be run right here on IndianExpress.com.